Collars with blinking light-emitting diodes for walks with the dogs during dark time of day have gone on sale. A material - kapron, a fastener is plastic, latched. The convenient and practical goods. On this page of news you will find more detailed information. Triera - the Range from Simplicity to Luxury. The industrial company -Triera - has been working on the market since 1994. The production of accessories for pets is the basic direction in our activity. 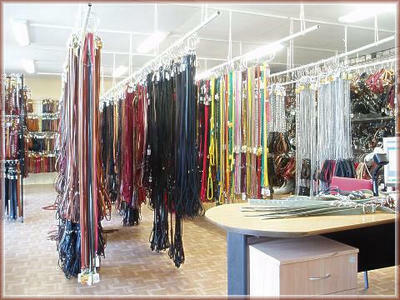 If you go to us, you will find everything from simple collars up to special clothes for pet training. And if you won't find a ready item at our shop, we will make it to order. Our specialists will discuss with you all the details, prompt and help to buy what is necessary for you. We always work on updating the available assortment and are interested in developing new models. You will see our trade-mark in any Latvian pet-shop. We distribute our production in the Baltic countries, being quite successfully engaged in it during the last twelve years.